Wiley CMA has become one of the most popular CMA review courses available. The Wiley CMAexcel course is the official test prep provider of the IMA, and the best-selling Wiley CMA courses are loaded with value. Let’s take a look at why Wiley CMA exam prep has developed a following among CMA candidates. Wiley CMA Review offers 2 sets of study materials. Your first Wiley option is Wiley CMAexcel, which is their premium, state-of-the-art, all-in-one CMA study tool. In contrast, your second option is the Wiley CMA Learning System, a self-study pack with textbooks and a limited test bank. Disclosure: The I Pass Team may earn a small amount of compensation if you purchase from our links; our team uses these revenues to maintain the site and produce awesome free content just for you! I know: that’s a lot of options! However, you shouldn’t need a supplement unless you have another course, like Gleim CMA. So, that really leaves you with just 3 courses to choose from if you don’t have any CMA exam prep yet. I’ll supply you with information about all of the available Wiley CMA products. But first, I’ll provide my recommendation for your Wiley CMAexcel course. It’s the best-selling and most popular Wiley CMA product. This Wiley course is the best CMA review option with the most value-added features. Let’s take a look at what I like about the Wiley CMA Platinum Course. One of Wiley’s stand-out features is their high-quality video lectures. Within these lectures, Professor Doug Clinton covers 64 hours of exam content. And, he is one of the best management accounting teachers I’ve seen: knowledgeable, lively, well-spoken, and to the point. Professor Clinton has been actively teaching for more than 15 years. Furthermore, he is the Senior Content Advisor to the IMA’s Research Centre of Excellence and a member of the ICMA Board of Regents (regulators of the CMA exam). Wiley structures their video lectures into bite-sized segments. So, these videos let you consume short, precise presentations of the most important information on that particular topic. You can easily finish a video during your commute or lunch break. When publishers are confident in their products, they offer free trials and updates. And Wiley CMAexcel is no exception. At the bottom of this post, you’ll see a button for a free Wiley trial offer. This offer involves 2 weeks of limited access to the Wiley course, and I recommend taking full advantage of this trial before committing to the course. I suggest the trial to you because having an opportunity to explore the course for yourself is better than trusting any third-party evaluations (that’s right, including this review!). When you use the Wiley CMA Platinum Course, you’ll have access to over 5,500 multiple-choice questions (MCQs) and 140 essays. All of those questions and essays make this the largest CMA test bank available. Therefore, if you learn best by practicing questions, this review course will not disappoint. And you can forget your fear of memorizing the questions because that’s just not going to happen with this course. You may be asking, “Do I REALLY need nearly 6,000 questions (including essays)?” Yes. I say this because your weak areas may vary from those of other candidates. What if you really struggle with a few particular topics, and your chosen CMA test prep provider only has a handful of questions about those topics? Clearly, the peace of mind that comes from having the largest bank available is pretty priceless, if you ask me. If you need to study offline due to internet access issues, commuting challenges, or other reasons, then you need this course because it’s the ONLY one to include an app. No other CMA exam prep offers this study-on-the-go feature and embraces the busy lives of CMA candidates like this course. If you need a CMA exam app, this is your must-have course. No other CMA course allows you to interact with active professors. In fact, Wiley names the professors you will be working with, so there is never a doubt if you are talking to a real expert or not. As you have questions, you simply post them within the Instructor Mentoring tool and a professor will answer your question in 48 hours or less. The accounting exam prep industry has a few different names for a final review. For example, the CPA Exam market calls this type of feature a CRAM course because you complete it about 1 week before you sit for your actual exam. And once again, Wiley is the only CMA review course to supply this beneficial study option. Wiley CMAexcel calls this feature an 11th Hour Review. This final review includes 14 hours of unique video lectures, mock exams, and more. This tool is the best for ensuring exam success because it enables you to strengthen all remaining weak areas and boost your confidence by exam day. As a chronic accounting exam candidate (let’s just say I love taking accounting certification exams), I can verify that the final review is nearly as critical as the entire review process itself. Some candidates call this last part of the review process revising, and when I talk with them, I sometimes learn that they are developing either inadequate or excessive revisions and final reviews. Therefore, with Wiley’s 11th Hour Final Review, you’re guaranteed to achieve the proper amount of CMA revision and final review. Wiley CMA Review uses the same infrastructure as Wiley’s popular and proven CPAexcel review course. The study planner is interactive, and you can customize it greatly according to your schedule. Additionally, email notifications will remind you of your scheduled study sessions and identify any weak areas you may have. The course itself also presents various performance tracking tools. For example, once you watch the lecture and answer some practice questions in test mode, the course will give you a green light. And if you don’t perform as well, you’ll see a yellow or orange light instead. As you get more and more green lights, you gain confidence in your progress. This virtual cycle helps you maintain the momentum you need to pass. Finally, this course also contains other exciting features like CMA flashcards, a student discussion area, and unlimited practice/mock exams. I’ve said it before and I’ll say it again: Wiley CMAexcel’s Platinum Course is the only course around that includes these 3 features. If you don’t have the money for the Platinum course, you may want to consider one of Wiley CMAexcel’s other courses. Although, none of them live up to the glory of the Platinum course, so you may want to consider splurging to get the amazingly wonderful, value-packed option that is the Platinum course. I’ve also included a handy chart below to help make your decision process easier. Therefore, if you learn best by drilling questions, the Silver course will likely be a letdown because there are far fewer questions in this course than most other options available. The Wiley CMA Learning System is Wiley’s test bank. This test bank includes 3,800 questions and 90 essays. Some of these questions and essays are included in the Wiley CMA books; however, most are available in the online platform. The Learning System does not include apps, lectures, flashcards, final reviews, instructor help forums, or additional practice questions, among other things. So, if you purchase the Learning System, you should know that it is purely a supplemental offering. This system is not a full course, so please don’t rely on it for your entire review. The CMA exam pass rate is already pretty low, and the exam is very expensive to take. Therefore, you should only use this system to supplement your studies, as you’ll need a full course to pass the CMA exam (that is unless you’re exceedingly bright and already super familiar with the testable concepts). Platinum CMA Review Course Yes, this course includes 2 CMA textbooks. Yes, you’ll have the largest test bank available. Yes, you’ll have access to 64 lecture hours. Yes, both instructor mentoring & assistance are features of this course. Yes, this course includes flashcards. Yes, you’ll receive free updates and access until you pass. Yes, this course features a state-of-the-art study planner. Yes, you’ll get the final review in this course. Yes, this course includes an app. Gold CMA Review Course Yes, 2 CMA books come w/ the Gold Course. Yes, you’ll get access to all these questions and essays. Yes; however, you’ll only receive 50 lecture hours. Yes, instructor mentoring & assistance come standard. No, you must purchase flashcards separately. Yes, updates & access until you pass come in this package. Yes, your course includes a study planner. No, this feature is unavailable. Yes, you’ll get a CMA study app. Silver CMA Review Course No, only digital textbooks are available. No, less than 1,200 questions and essays come with this course. Yes, 50 hours come with this course. No, neither feature is included. No; however, you can purchase flashcards a la carte. Yes, online updates are free & access until you pass are standard. Yes, you’ll receive a study planner. No, this feature is not included. Yes, you’ll receive a CMA app. CMA Learning System (test bank) Yes, you’ll receive 2 CMA books. No, the Wiley CMA test bank includes less than 4,000 questions and essays. No, lectures are not included. No, these features are unavailable for this product. No, flashcards require a separate purchase. No, updates are not free. Access is limited to 1 year when you purchase only one part; if you purchase both, the access length is 2 years. No; a study planner is not available. No; a study planner is not an option. No; an app is not available. Because nothing is perfect, I’ll identify some limitations of Wiley CMAexcel for you to consider. 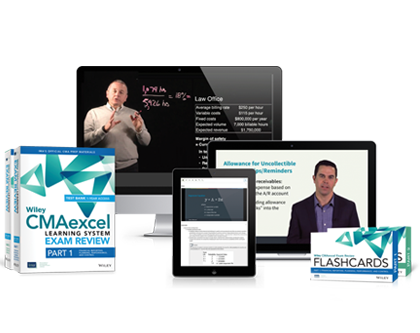 Nearly all of Wiley CMAexcel’s CMA courses and products cost more than other tools on the market. But in some cases, this makes sense. For example, the Platinum course is pricey, but it has no equivalent. For this reason, I think the price of the Platinum Course is fair. However, for some of the Wiley products, especially the Learning System (Wiley CMA test bank), more affordable options that are just as good if not better are available (i.e., the Gleim CMA test bank). The Silver Course by Wiley only includes around 1,200 questions and essays. In my opinion, this number is not nearly enough to develop a robust understanding of the materials. And it’s certainly not enough if you have weak areas on which you need to focus. Consequently, I know of many Wiley users who’ve gone on to purchase another test bank to supplement their studies. Supplementing adds additional costs to the Silver Course, so I’d recommend getting a more comprehensive course instead (i.e., the Wiley Platinum or Gold course; the Gleim Premium CMA Review Course). In the past, I’ve received feedback on how Wiley fails to correct errors identified by their customers. I’ve seen this feedback in Wiley forums, with some of the comments dating back a few years. While this fact doesn’t reflect well on their customer service, most of the errors were minor. I do receive very generous discounts from Wiley, so my Wiley CMA discounts should help make your purchase more affordable. 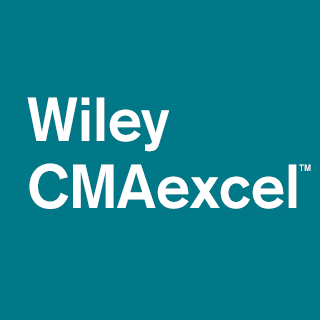 To review all the Wiley CMAexcel discounts available, check out my CMA Review Discount page. You can purchase Wiley CMA Part 1 and Wiley CMA Part 2 separately; however, the discounts are best when you purchase both parts together. Read Wiley CMA reviews from actual candidates who used Wiley CMA prep to study for the CMA exam. Need to pass the CMA exam on the first attempt and are comfortable paying a premium in order to achieve this goal. Will benefit from the Wiley CMA video lectures. Appreciate state-of-the-art online learning tools and features. Get all the available Wiley CMAexcel discounts here! I am the author of How to Pass The CPA Exam (published by Wiley) and the publisher of this and several accounting professional exam prep sites. Gleim CMA Review Discount Code & Gleim CMA Coupons Save 20%! I purchased the Wiley Learning system last year (2 books and test bank). I would like to add the video instruction. Do I need to purchase the entire cma review course or can I just add the instruction to my existing review books. 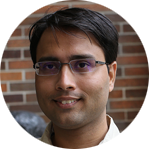 Hi I’m from India and I want to what is the scope and future of CMA US in india. I am from a Sales background mainly, but now going through your website for the past few days I am planning to give a shot for the CMA exam next year.Do you think it will give me any tangible benefits to my career in terms of transition to accounting/finance field.I am 32 years old currently working in mid managerial level in the financial services sector in India.Your advice will be highly appreciated. Hi Samrat, CMA certification is mostly for management accounting. If this is the niche within accounting that you are interested in, then it’s good. But if it’s more on finance, then CFA is more helpful. So it really depends. While professional certifications are helpful, it is the best if you can find a position within your company with more exposure in accounting. This way it is much easier for you to break into the field. This is more effective than getting a qualification in my opinion. Good luck! Thanks Stephanie for the advice.But I have done my MBA in Marketing so getting an accounting role even within my company would be difficult. Hence I am planning to give the CMA than the CFA coz of my prior weak Quant’s background. I noticed that Wiley CMAexcel 2017 is outdated, for example in Part 1 , still talking about “extraordinary items”! although members have reported the issue & the mentor admits the update (in Dec. 2015) but nothing has been updated! I do not recommend Wiley CMAexcel due to some outdated materials unless they review the materials! I am using the Wiley review materials for exam prep. I was able to pass Exam 1 on the first attempt (May/June 2017 window), and will sit for the second exam in the September/October 2017 window. 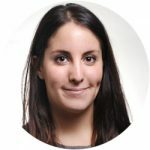 As many have commented in Wiley’s mentor forums that accompany each online section, many of the questions are incorrect as well as there being some errata in both the lesson outlines and the book. Admittedly, these are minor compared the study question errors. In several instances, the errors were discovered and pointed out as long as 2 years ago, and have yet to be corrected. As of this writing, it does not appear a mentor has answered a question in over 6 weeks. In some instances, questions posted as long as 2 years ago are still unanswered. I’m hoping this is a recent issue for Wiley. To be fair, some of the content, such as the videos featuring Dallon Christensen, are quite good. But when Wiley’s price is factored with their current lack of response, I’m hoping your readers can utilize this to make an informed decision regarding CMA study materials. Yes you are correct I have been getting similar comment from another reader recently. Because of both of your feedback, I will add a note in the above. 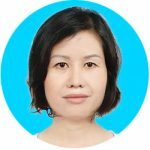 Thanks very much for your comment — it is very valuable to fellow candidates who are making choices of their review courses. Hi, I mant to choose between hock, wiley and gleim. please anybody could help me ? I purchased the Wiley materials as my primary method for exam prep. I passed Part 1 on my first try, and am waiting for my results for Part 2, which I’m confident I passed as well. While studying for Part 1 with the Wiley materials, I and several before me posted in there study forums about items such as information in the course outline and several practice questions being incorrect. In several instances, the error would be acknowledged but not fixed…often 18 to 24 months after the issue had been acknowledged by Wiley. The are migrating to a new user interface in 2018 as well. I was able to try the interface, and personally didn’t care for it…but I was used to the old interface, and saw no value in changing. But much of the underlying content issues still seemed to be present. I can’t state whether the interface I saw was the final version, and whether it was totally “debugged”. I purchased the Hock materials (Part 1 and Part 2 text and exam bank), and a Gleim Part 1 book from 2014 (the book was still new, and contained access to the Gleim Part 1 exam bank). as supplementary materials. If I had to do everything over again, I would probably pick Hock. The “pros” were the quality of the materials, and facets of the exam bank, such as metrics that easily gave feedback that could be used to tailor your study to weak areas. The biggest “con” was that the materials were longer than Wiley, and definitely longer than Gleim. Additionally, there is a lot of information in Hock that likely won’t be tested. But I have no doubt that anyone that can master the information from Hock will pass each part of the exam on the first sitting. I also had occasion to call the offices once, and they are genuinely nice people. I liked the Gleim material as well, but it is not nearly as in depth as Wiley, or as in depth and clearly presented as Hock. I also found their test bank to be more user friendly than Wiley’s. Hock is a much more comprehensive presentation of the material. In my opinion it is better for those looking to actually learn the material vice simply passing the exam.